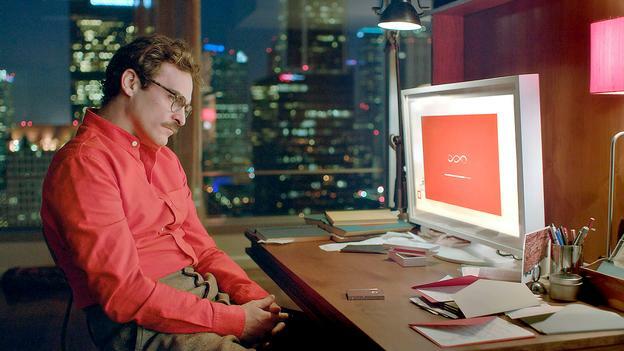 Eggers’ vision could take place in the same universe as Spike Jonze’s latest and Academy Award nominated film, Her. His protagonist, Theodore (an awkwardly charming and sad-sack Joaquin Phoenix), seems like the type of guy Mae Holland would date, and The Circle the type of place he might work. But in Jonze’s universe, Theodore works at a company where he ghost-writes handwritten letters – synthetic pages of falsified emotions – and he’s fallen in love with his new state-of-the-art and self-evolving Operating System named Samantha (voiced by Scarlett Johansson, who gives a breathy and compelling performance without ever appearing on-screen – something that I initially thought of as a crime on Jonze’s part but actually works quite well). The relationship he forms with Samantha bears a resemblance to something organic, but it, too, is synthetic and ultimately empty, though Jonze and his cast give it their all to convince us otherwise. Like the world Eggers creates, Jonze writes and directs a quasi-futuristic world (where a beautifully photographed Shanghai doubles for an ultra modern Los Angeles) that is eerily like our own and seems all together possible given the present course of technology and social media and how that is coming to define intimacy and our relationship to ourselves, to each other and to the world. And like Eggers, Jonze strikes the strongest cord when he goes for societal satire. People dating OS’s becomes a “thing” people buzz about, and there’s a hilarious bit where Amy Adams’ character tells a story about one particular OS that started cheating on its owner. The film is tinged with moments of humor, beauty, sadness and fragile emotions. Just as Eggers’ social network becomes the ultimate form of ego boosting, so does Theodore’s relationship with Samantha and Samantha’s relationship with Theodore. He’s using Her to fill the emotional void in his own universe, and though he pretends she’s an authentic romantic partner, there’s the sense that he “owns” her – she’s His OS and His OS only. On the flip side Samantha is using him as a way to learn about the world…to learn about love…and what more egotistical romantic notion is there in pop culture today than the idea of an artificial intelligence that is so desperately obsessed with trying to learn what it means to be human? Unlike Eggers (whose novel falls down a rabbit hole where he offers no alternatives to the world The Circle demands), Jonze never explores the global dangers of a world with self-evolving OS’s and a populace totally reliant on them, and instead only goes as far as matters of the heart, which perhaps for Jonze is all that matters. For all its poignancy and imagination, Her is psychologically shallow and falls all too comfortably into the tropes of the modern-day romantic comedy: boy loses girl, gets depressed, meets new girl who changes the way he looks at the world, loses that girl to her own personal evolution, and then ends up with the friendly girl he should’ve been with all along. It’s all a bit silly. But when they’re not succumbing to their own mechanisation, both The Circle and Her offer bountiful food for thought and fly caution flags over our increasingly, and sometimes dangerously, interconnected world that would seem lost without the technology that has synthetically tethered itself to our collective hearts. This entry was posted in Art-house Cinema, Book Reviews, Books, Movie Reviews, Movies, Pop Culture, Psychology and tagged Amy Adams, Cults, Dave Eggers, Futurism, Her, Interconnectedness, Intimacy, Joaquin Phoenix, Operating Systems, Romance, Satire, Scarlett Johansson, Social Media, Speculative Fiction, Spike Jonze, Technology, The Circle. I liked Her but not as much as many others did. It’s good, but like you I found it a bit too reliant on the typical tropes…..if you replace the OS with a real human, it’s a complete cliche. It’s no less cliched by the fact that it’s a computer. I also had a hard time getting past Johannson’s voice. I kept thinking I was listening to Scarlett and not the computer and it kept taking me out of the movie. Her has it good spots, but nowhere reaches my top 15 or 20. Jon – yes, I wish it had been more daring and tilted more towards satire than romance. I had no issues with Scarlett’s voice, however – but I rarely have any issue with any part of her or her performances. Haha. LOL. Yeah I know what you mean. You draw interesting parallels between the book by Eggers and the movie by Jonze. And that makes me wonder if the abundant use of orange in the book cover and the movie image you’ve put is a deliberate attempt to visually connect the two or is it sheer coincidence? Deliberate attempt – but I would argue not by me – but by Eggers and Jonze! I have a hunch these two have had lunch together at some point. I think you’ve missed what is truly fresh about this movie. Don’t lament that Jonez “never explores the global dangers of a world with self-evolving OS’s and a populace totally reliant on them.” We’ve been there and done that and he doesn’t really care about that, at least not in this picture. This is a movie that is questioning the very foundation of what a “real” relationship is. You say,”The relationship he forms with Samantha bears a resemblance to something organic, but it, too, is synthetic and ultimately empty, though Jonze and his cast give it their all to convince us otherwise.” Empty? Really? Why is this relationship empty and not any other relationship he might have or has had with a physical woman? This isn’t a warning about dependency on technology, this is an exploration of relationships and emotion and it fundamentally questions the concept of “empty” relationships or “fake” emotions. On one hand I don’t know a relationship that isn’t phony on some level–everyone is out to get something from the other. And those relationships end when one or both stop getting what they need from the other. That isn’t any different from what happens here. The fact that it’s an OS doesn’t make it any less real, doesn’t make the emotions any less heartfelt, and doesn’t tarnish their intimacy. I thought it was a bold, if not perfect movie, and I was pleased to see an alternative to the world’s of Terminator or Battlestar Galactica. I was also pleased to see a thoughtful deconstruction of relationships and intimacy in the modern world. It isn’t a warning, but it isn’t celebratory either: Jonez seems willing to accept the future as it comes, even if we won’t always recognize its emotional contours. Jason – no, I got that message, too – I just didn’t agree with the thesis that a relationship with an artificial intelligence can be real. Did Theo feel real emotions? Yes. Did he go through all the typical motions with his synthetic significant other? Yup. And did he learn and grow from this? Sure. But it still doesn’t fundamentally hold a candle to a relationship with another living, breathing, human being. I thought Amy Adams laying her head on his shoulder brilliantly symbolized this notion that “nothing compares to the real thing” as for me that was the truest, simplest and most powerful moment in the film – and I think it was quite intentional on Jonze’s part to end the film with this shot. Theo’s relationship to Samantha was synthetic – no matter how true and honest it “felt” it was never really real. 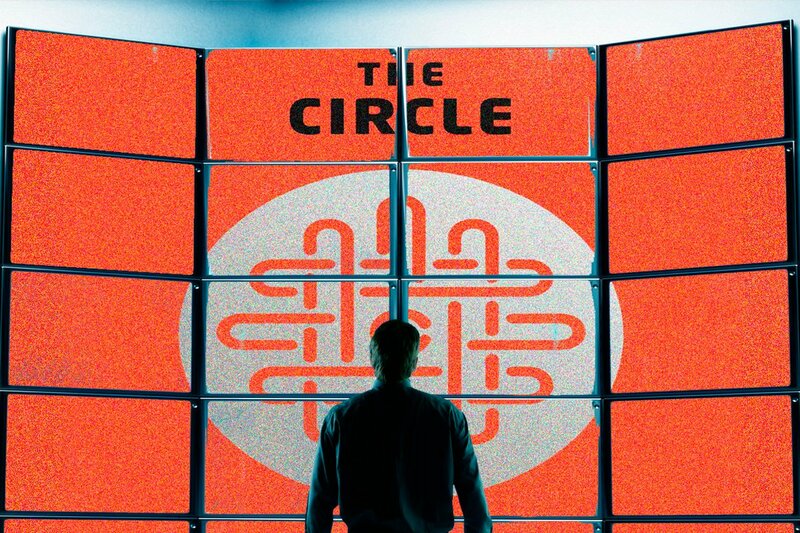 And I did not mean to suggest I would’ve preferred some kind of “Terminator-lite” approach – I was referring instead to the approach to similar ideas and themes on relationships and technology in Eggers’ novel The Circle – hence why I wrote about the two in the same breadth. I would’ve preferred a Gattaca-like approach if one must compare Her to another film. Still, I liked the film and it offered many interesting ideas to ponder and contained powerful images and performances. I just didn’t love it, is all. I’m not sure what does qualify for a real relationship if in a “fake” relationship one feels all the same emotions and learns and grows from it. Sounds like a real relationship to me. What’s the difference between his relationship with his ex-wife and with the OS. What makes the relationship with his ex-wife more real than the other? A fake relationship is one we create in our heads, like these people in love with inanimate objects, or stalkers who create fantasy relationships with celebrities in their imaginations. When one is interacting with another consciousness, I don’t think it’s fake. I don’t think Jonze does either. I didn’t interpret the last scene with Amy Adams the same way. I saw it as an acknowledgment of the genuineness of the relationship and the pain of its loss. And I didn’t think you would have preferred a Terminator-like approach. I know you better than that. I was just pointing out that this is ground that’s been covered and isn’t what Jonze is interested in. Oh and I didn’t love it either. Just liked it. Well, again, I say this is where we clearly disagree. You said, “When one is interacting with another consciousness, I don’t think it’s fake” – but in my mind Samantha was not another consciousness, she was an artificial intelligence (key word there: ARTIFICIAL) – hence, though true feelings were present in one of the participating parties, it was not a REAL relationship. The clear difference between Theo’s relationship with his ex-wife and his relationship with Samantha is that the ex-wife was a real person while Samantha was not. You also state that people who love inanimate objects, stalk people or are obsessed with celebrities are in fake relationships. I agree wholeheartedly here, but if your rationale for calling Theo’s relationship real was because real emotions were involved, I would argue that real emotions and feelings are present in those who stalk and obsess (albeit in a one-sided fashion), otherwise, why would they bother stalking and obsessing? To me – all of these are fake relationships even though all contain the capacity for real emotions to be present. Theo & Samantha’s relationship is just another color in this spectrum of conditions where true feelings are attached to artificial realities. It’s a psychosis. And only real human connection can treat it. It’s somewhat difficult to get past the self-righteous ego trip Mae’s character is on. The ending almost ruins the work. The ending in theory still makes it a cautionary tale…but as a character arc for Mae, it’s quite troubling for the reasons you point out. The way she drinks the “kool aid” and systematically destroys her friend who got her the job in the first place is very off-putting and not in line with what we learn about her earlier in the book.